Hello all! I pray you had a great weekend, and had an opportunity to sharing the Gospel during Halloween weekend as well. It was a busy couple of weeks for me, and shows no signs of slowing down. Please pray God continues to work. In particular, I have been working my side jobs a lot, which is a blessing. However, we’re still praying for increased support so my focus can be on one job, ministry. Thanks! Please pass this on if you are encouraged. 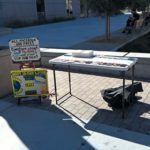 10/26 – San Jose State Outreach – I was out solo this day, so I spent a fair amount of time reading scripture aloud after setting up the tract table. The table didn’t draw as many people as our last trip here, but it is still turning out to be a great tool. A number of people stopped to take Bibles and tracts, and I had a particularly good conversation with a young lady named Ariel. She is a believer, and has struggled with sharing her faith. I was able to encourage her, and gave her a two-in-one CD from Living Waters to help her learn to share the Gospel with more confidence. Pray for her. She seems to really want to be used by God. 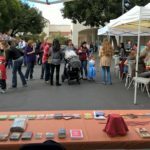 10/28 – Crosswalk Church Halloween Festival – Due to a regular ministry partner (thanks Eka!) 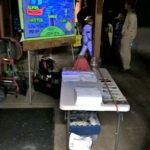 I was invited to bring my sketch board to a Halloween festival at a local church in Sunnyvale. I had no idea what to expect, but it ended up being an amazing time of ministry! 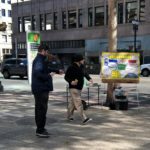 I handed out many, many tracts, and even though I only painted up one sketch, I was able to present that sketch message seven or eight times. What a blessing! It was a great event, and I’m hoping I will be invited back next year. 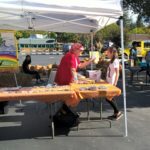 10/29 – Home Church Harvest Festival – This was my church’s Harvest Festival. It was the first year for us, and despite some rain in the morning it went pretty well. 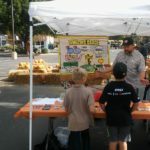 We set up a booth with the sketch board, tracts, and several object lessons. I had a great time sharing both with church members, and with members of the local community. I’m looking forward to next year on this one as well, and since the format worked so well, I have no doubt we’ll be able to advertise and draw in even more people then. God is good! 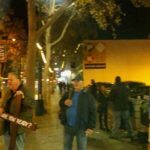 10/29 – Downtown San Jose Halloween Outreach – This is the eighth year in a row that we have headed to the downtown San Jose bar and club district for outreach. The traffic is nothing like it was on our first outing (a lot of businesses have closed), but as the night went on we still had quite a bit of foot traffic. We were also joined by several other Biblical evangelists, which was a great blessing. Many tracts were passed out, and it was a good night of ministry. 11/2 – Oakland Outreach – Tim and I have been trying a new location in Oakland, about a block away from out regular spot, and it has been going very well. 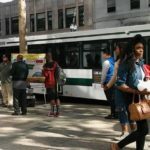 It’s right near a busy bus stop, and the foot traffic is much more concentrated, so it’s easy to hand out tracts. We had several really good conversations, including a long debate with an atheist named Charles, which drew quite a few people to watch. But the best conversation was with David. He was very impacted by the preaching, and asked a lot of questions. I was able to answer most of those questions, and offered to buy him a book dealing with some of them, which he accepted. Tim and I were also able to pray with him. Please pray for David. He is struggling with some difficult issues. Our upcoming outreaches are listed below. Please let me know if you can join us for any of them, and don’t forget that Christmas in the Park is coming up soon. It’s our best outreach time of the year, with thousands of people coming through the park every night. I plan to be there as much as possible, and would love company. Also, please pray God will provide enough support that we can focus on ministry through December. Thanks! Set up at San Jose State University. Set up to share at the Crosswalk Church Halloween event. A view from the booth, at the Home Church Harvest Festival. Judy sharing with a young lady at the Home Church Harvest Festival. Sharing my Amazing Grace message at the Home Church Harvest Festival. 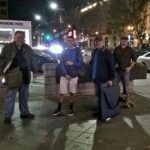 Four bold evangelists in San Jose on Halloween weekend. 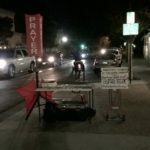 Preaching in San Jose, at the corner of 2nd and San Fernando. Preached here every weekend for years. It’s good to be back. Dave joined us for the first time on Halloween weekend, and had a great time engaging people. Tim praying for a lady who stopped by. I believe she had cancer. Tim, the tracting machine! Yes, the paper in that man’s hand is a tract. 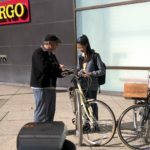 Dave, another Bay Area missionary and friend, sharing with a passer-by in Oakland. Sharing with Charles, an atheist. 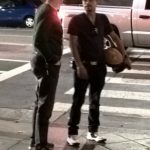 He was pretty animated, and many stopped to listen to the conversation. Tim and I with David. 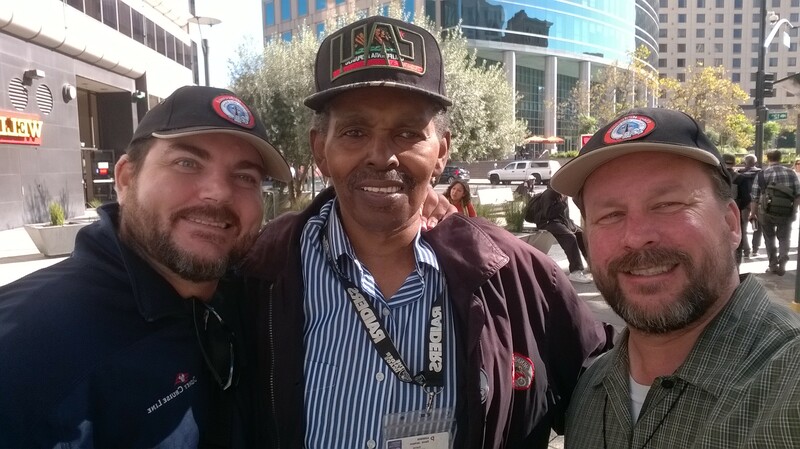 He was very impacted by the presentation, and we had a great conversation afterwards. Sharing the Gospel with our new literature table in Campbell. 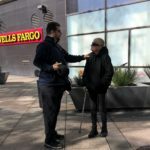 Black Friday Outreach – Friday, November 25th – 11AM to 3PM – Tracting at the crosswalk between Santana Row and Valley Fair on Stevens Creek Blvd. 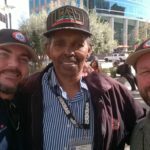 Christmas in the Park Outreaches – As usual, I will be focusing much of my ministry time in December on Christmas in the Park, in downtown San Jose. Foot traffic will be very heavy, and tracts go out very easily. It is also a great place for the sketch board. Please plan on joining me for a few of these days, if at all possible. If you plan on coming, let me know so I can add you to the outreach list. Thanks! I am planning to add additional Christmas in the Park outreaches, but dates are yet to be determined. Stay tuned for more!